Lyrebird, Forest Track, Tarra Bulga National Park. 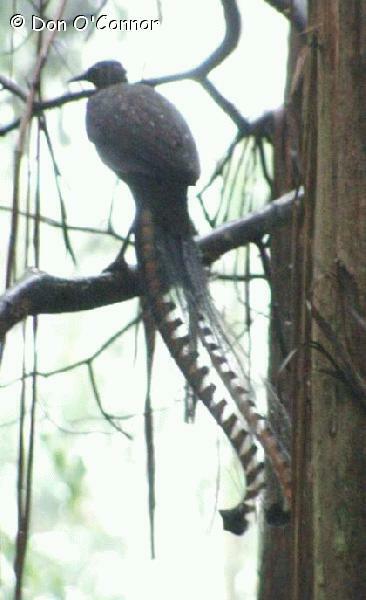 A very poor photo, but it's proof that I've seen a lyrebird! It was pouring with rain and the bird was not very cooperative, but I was determined to get a shot.